Which Adsense Alternative Should I Use for My Blog? 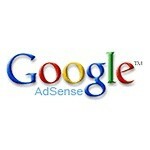 Which Adsense Alternative Should I Use for My Blog? Home / Blogging Tips / Which Adsense Alternative Should I Use for My Blog? Which Adsense Alternative Should I Use for My Blog? Recently, I got a mail from one of my readers. He stated in the mail that he is using Adsense on his blog but wants to add some other adsense alternative. He said he has read about the alternatives bur he wants to know which one he should use for his blog. I’m sure you also wants to know which adsense alternative you should choose. This is why I making his question available for everyone to learn from. The truth is there are plenty of other advertising options apart from adsense. A search for “Adsense alternatives” will give you a long list of other advertising opportunities. Some work in much the same way as Adsense, others provide inline ads or banners. 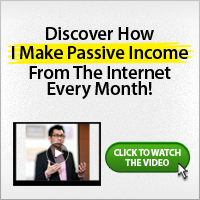 Out of the numerous adsense alternatives I have selected few ones which I have tried myself. It is what you should also try and see which one works best for your blog. The truth is, what works for me might not work for you. I know some people who Adsense is not working for. I also know some people who Adsense works for more that it does for me. These advertising opportunities are similar to Adsense and display text ads; others display contextual ads, the double underline words in the body of your text, and others work with graphic ads. Here is a list of other advertising sources for your blog, any of which may be the perfect advertising solution for you. Media Net: Enabling publishers to make money from ads by tapping into one of the largest pools of advertisers in the world. Media Net is a Bing Network Contextual Ads program that enables web publishers to easily and effectively earn advertising revenue from their websites of blogs. Addynamo: Ad Dynamo offers both mobile and website advertising solutions to advertisers and publishers of content. Each time an ad is clicked, you earn. We share 50% of the total cost per click that was charged to the advertiser with you. InfoLinks: Infolinks uses In-Text advertising revenue share and deliver only relevant advertisment. The result? Higher conversion. Higher income. 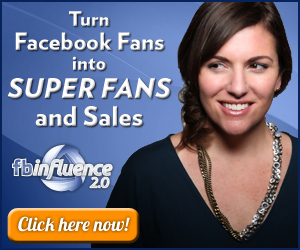 You earn 70% revenue share. Infolinks ads keep readers engaged & clicking. Clicksor: This advertising solution serves contextual ads within the body of your blog. These ads are simply words that are underlined twice and when clicked, send users to the sponsor’s website. TargetPoint: Cost per click ads that display ads relevant to your content. They claim to pay out 50% of click revenue and offer many customizable features. Chitika: This advertising option is designed specifically for blogs and there are different advertising programs to choose form including text ads, inline ads, and graphic ads. Most of them operate on a cost per click basis. Veoda: They also have different ad options including text, graphical, flash and inline ads. The good thing about Veoda is that they do not require a minimum number of visitors to sign up and do not require tax information which is good for small blogs that are just starting out. Kontera: This is another inline advertising source where ads are placed as highlighted words that display a message when they are hovered over. Text Link Ads: This site allows advertisers to buy text ads on blogs for a fixed monthly fee. The more popular your blog is, the more your ads will cost and the more money you will make. As you can see, there are plenty of other advertising solutions for your blog, and there are plenty more out there besides the ones mentioned here. You can always sell ad space directly, to companies or businesses that are related to your blog topic. There are a few things you should remember before placing ads on your blog, however. Unobtrusive ads will rarely drive traffic away, but too many tacky ads and popup ads will cause visitors to leave. You want to find a good balance where you can earn income but not chase off visitors. Make sure your ads are relevant and not annoying. Make sure that they do not take up too much space or become the focal point of your blog. I hope this helps? Is there any adsense alternative you use on your blog but it’s not listed here? Feel free to share them with us. We would be glad to know the adsense alternatives. It will also be of benefit to our readers. You should also share this post if you find it useful.